Prior to coming to us, this 50 year old patient had a class 3 potential class 4 hair loss pattern with very sparse coverage on the frontal hair line. Recently the patient underwent a CIT session where approximately 2010 grafts were transferred to the front. 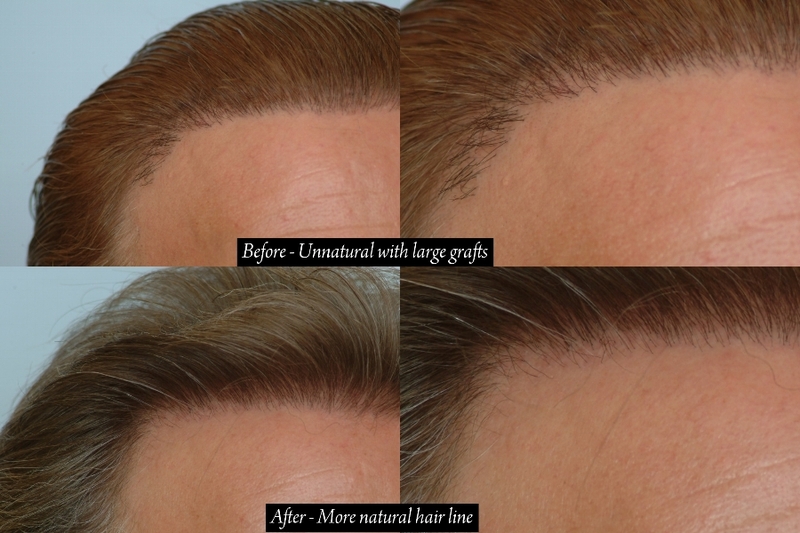 The hairline & temporal recessions were restored by strategic placement of single-hair grafts and was made easier by a product called AHD (Assist to Hairline Design). The hairline was slightly lowered and was reinforced in the most natural fashion. 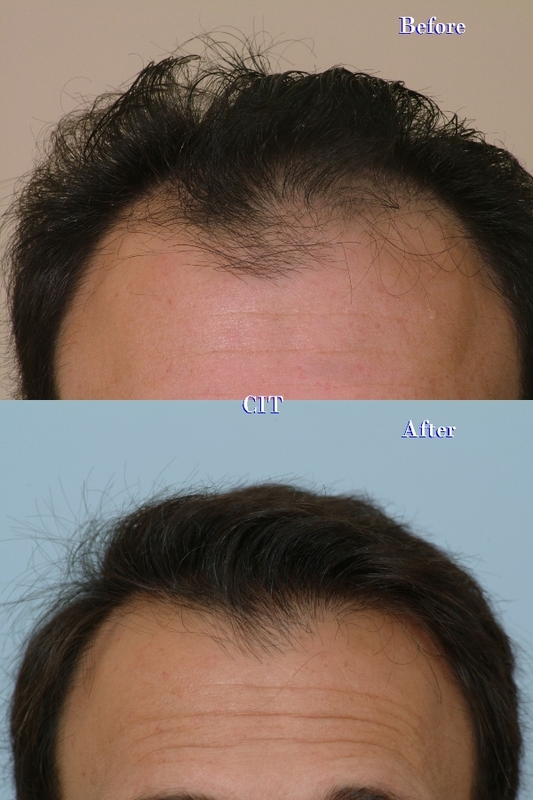 The naturalness of the new growth signifies a commitment to our patients as we present yet another quality result from CIT hair transplant method. that looks very natural and looks like he wasn’t going for big change. i wonder at what point did a majority of his hair grow in? more photos would be great. 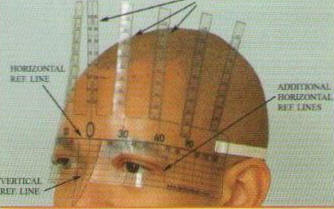 What is AHD (Assist to Hairline Design) ? » present yet another quality result from CIT hair transplant method. » restoration surgery can vary in cost from one clinic to the next clinic. » and always remember that you DO NOT have an infinite source of donor hair. » what they desire. I look forward to answering any questions, big or small. I think the same results could have been achieved with finasteride alone. It still looks very flimsy and light. I think you’d be doing more justice to the patients results if more pictures were posted including graft placement. How do people come to a quick conclusion with only 1 photo? strange. » I think the same results could have been achieved with finasteride alone. » placement. How do people come to a quick conclusion with only 1 photo? To be perfectly honest, I unable to post any additional photos than those that have already been published. I do know that the patient is satisfied with the growth, but there is a huge difference between mature patients’ goals when compared to typical younger patients’ goals. This patient could have chosen a lower hair line with much more aggressive hair density, but as previously stated, the “perfect” hairline differs from one patient to patient. But, Me, myself, I tend to think that there is an equation involved with determining a suitable hair line, but statistically, the more mature patients are more likely to desire a 6 cm to 6.5 cm frontal hairline. For most patients, a suitable hairline can be designed based on the location of their nose, glabella, or face. In regard to dutasteride, an increase of hair count can be achievable, but an effect similar to this result is not likely. What is likely to happen in this case, is an increase in hair density of about 10% (200 hairs at most). I wish that this amount of growth could be produced by dutasteride alone, but typically, we find that the affected hairs become larger and increase in diameter, depending on the characteristics. Believe it or not, donor hair grows to with the same likeness as the patient’s original native hair. Flimsy result? Most patients (including myself) would be ecstatic to have an aesthetic result that cannot be mistaken for a hair transplant result. As I said before, just having more hair on top does not equate to better results. On a daily basis, our newer patients (virgin scalp & repair cases) come to us from many well-known clinics to have their “at one time pleasing” results de-bulked to enable them to be “natural” again. 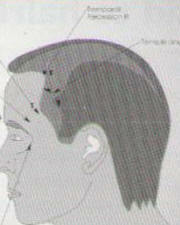 I’d be interested in seeing an Avodart (dutesteride) or Propecia (finasteride) result in the likeness of this result. Below is an example of a BAD hair transplant result with excellent density. I don’t get it. You laughed at a guy who made a similar comment in one of the Armani posts. I will say, however, that-that V-shape (or whatever you call it) looks way too weak on this hairline. » too weak on this hairline. I’m going to look for that comment and if you find it before me please send me the link. … k I found it. Rev I hope you’re not insinuating anything. How can you even make a comparison? This, as you and I both stated, is thin, weak, and in my eyes flimsy. Hence the reason for me saying you can get these same results with finasteride (probably better). 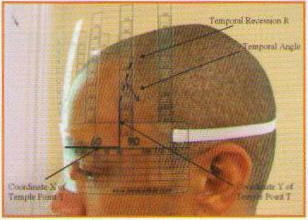 Keep in mind this isn’t the location of the original hairline (much lower), but rather more towards mid scalp. Thats where finasteride works very well. So I don’t know see how you can make a contrast. Unless ofcourse, you’re implying something else. Which is fine. I’m tired of that and beyond that by now. You are a fool to think that finasteride can do the trick, been there, done that, you are lucky if you managed to keep your own hair using finasteride alone. You have asked about AHD and how it applies to CIT “non-strip” hair transplant method. 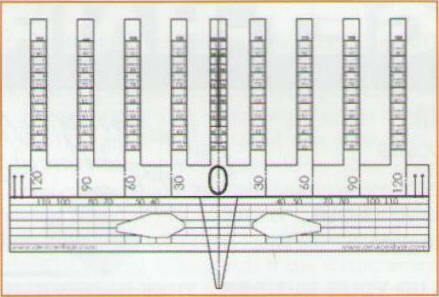 The principal factors to consider when designing the hairline that frames the face or forehead are the mid-frontal height of the hairline, the width of the frontal hairline be­tween the recession points, the irregularity of the hairline, the temple point location, the temple angle. the hairline.Below is information on just one of our many products that are directly involved with producing our consistently natural-looking results. This particular device removes much of human error when designing the most important part of restoring male pattern baldness. » » I think the same results could have been achieved with finasteride alone. You’re an idiot if you think your failed attempts speaks for everyone. And you can kiss my @ss if you think I’m going to post numerous links of members who’ve has such success and better. Find it yourself, then take a class in manners. Fair enough, I like it! » You’re an idiot if you think your failed attempts speaks for everyone.